Arduino is an open-source electronics platform based on easy-to-use hardware and software. Arduino boards can read inputs – light on a sensor, a finger on a button, or a Twitter message – and turn it into an output – activating a motor, turning on an LED, publishing something online. 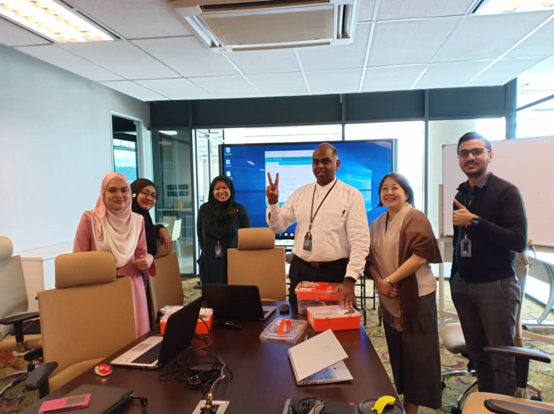 The Centre for Research and Development of IoT (CREDIT) has taken the opportunity to organise a workshop on Arduino for Educational Purposes, to APU Technology Management’s staff on 2nd April 2019. Dr. Kamalanathan, School of Technology Management lecturer, conducted the session. 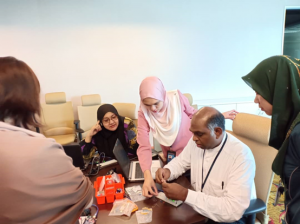 This workshop was aimed to train APU lecturers on the theories, practices and using IoT for conducting further workshops for primary and secondary school students to enhance the Teaching and Learning in Malaysia for science, technology, engineering and mathematics (STEM) program. 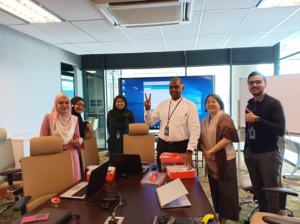 Since we have limited training kits, initially we accept only 5 lecturers on 2nd April 2019, the workshop at Staff meeting room, Level 5. The support and interest were an overwhelming hence CREDIT decide to have similar workshop many more session in the near future for SoC and SoT.